WiSHFUL has integrated some of its most important achievements into an end-project demo showcase and present it during EUCNC 2018 @ Ljubljana. Visit us at booth 04 and learn how ISM spectrum can be efficiently shared across heterogeneous technologies. The WiSHFUL team welcomes you! On the website you can find detailed information on the WiSHFUL offer, such as testbeds, software platforms, links to UPI specifications, source code) and many other documentation like public deliverables, publications, etc. Enjoy the WiSHFUL website! 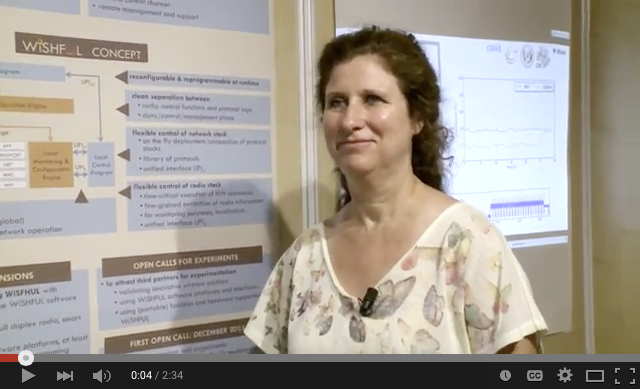 The portable Testbed has been demonstrated at several events (ETSI RRS workshop, NetFutures 2016, EuCNC 2016, Global 5G 2016, EuCNC2017) and is now used by experimenters in Open Calls. Next demo: during WiSHFUL tutorial at Crowncom 2017 (Increasing spectrum efficiency through intelligent and coordinated radio and network control). 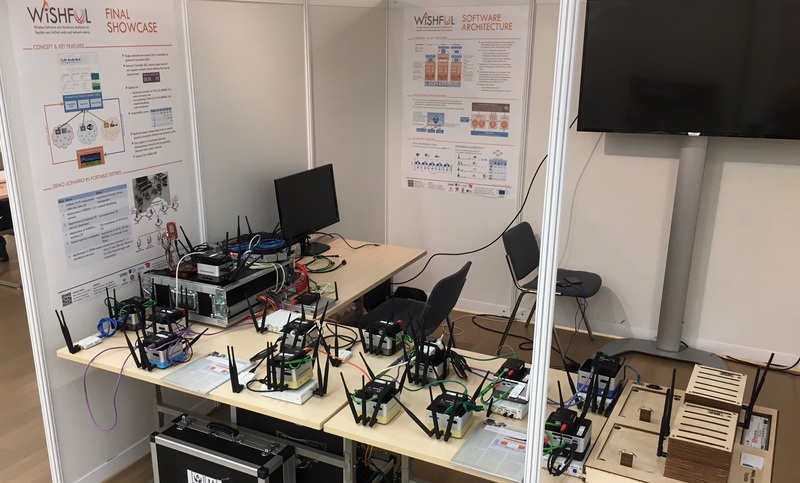 If you are interested in experimental validation of your wireless innovation in an advanced wireless test facility, and you want to receive funding for this together with technical support by highly skilled people, please read further here. A Webinar to explain call details and to give guidlines to proposers was given on Friday, September 8th 2017 @ 14:00 (CEST). To see the webinar, see here, for more info on the Open Call 5, see here. The WiSHFUL project will give a tutorial at CROWNCOM2017. In a first part, the tutorial will present how the WiSHFUL architecture abstracts radio and network control functions and how it is capable to control the behaviour of heterogeneous wireless devices and networks at runtime through a well-defined unified programming interface. Next, this tutorial will explain how machine leaning techniques can be implemented on top of the WiSHFUL architecture for enabling intelligent radio and network control (also explored in the eWINE project). In the last part of the tutorial a real-life demonstration will be given of a wireless coexistence scanerio on the Portable Testbed. More info can be found here. Another step forward made by WiSHFUL is that it develops so-called “portable testbed”. While most of the facilities are fixed and can be remotely accessed, in this project, facilities will be transformed in a “pack-and-go” fashion. This way, advanced radio solutions can be fine-tuned for any real-world environment and any vertical market also involving real users. The figure below provides a conceptual view of the blocks foreseen for the WiSHFUL software architecture. Existing devices feature radio driver software comprising of PHY and some low-level MAC functionality and a network stack comprising some higher-level MAC and upper layer functionality depending on the implementation. In the WiSFUL vision, the radio and networking software will be extended with control functionality (i.e. radio and network control blocks in the figure) and the extension also exposes the corresponding configuration interfaces that can be used for interaction with both local and global (network-wide or cross-network) entities, such as intelligent control engines or application layer services. 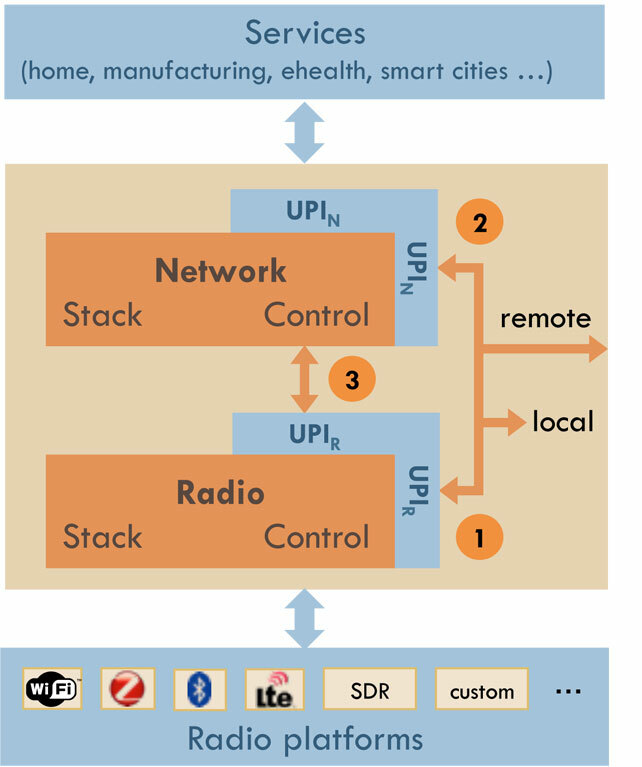 The clean separation between radio control functions and network protocol functions is envisioned to break the current monolithic implementation of wireless stacks, thus alleviating future radio driver and networking software development efforts drastically, while preserving reliability and time accuracy constraints of radio and networking operations.